The Clark County School District and federal law enforcement recently brought hundreds of students together in hopes of inspiring them to be leaders in the fight to stem the growing problem of opioid abuse. 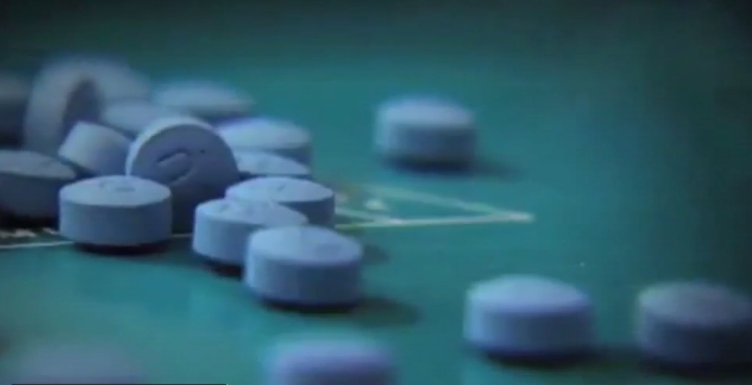 LAS VEGAS (KTNV) — The Clark County School District and federal law enforcement recently brought hundreds of students together in hopes of inspiring them to be leaders in the fight to stem the growing problem of opioid abuse. The Opioid Youth Summit held at the Venetian Theater targeted sophomores from various CCSD school who are either athletes, student council members or student representatives hoping they could spread the message on their campuses. This as the latest survey from the Centers for Disease Control found alcohol and drug use is not uncommon among high school students in the Silver State and nationwide. That same survey finding 30% of Nevada students were offered, sold or given an illegal drug on school property. While most of the numbers were roughly equal to nationwide results, the number of students with access to illegal drugs on school property in Nevada was 10 percent above the national average. That is one reason law enforcement and the school district teamed up for the Opioid Youth Summit. For hours the students listened to messages about the impacts of opioid addiction from law enforcement, former UFC champion Forrest Griffin, who lost a friend to addiction, and a mother who lost two sons on the same night. Perhaps the most powerful was Elliot Brittan. He told the teens about his freshman year on a bus when he was first offered drugs at a time when he felt alone. "Because of that I made the decision to use a drug," Brittan said. Brittan withheld few details about the path that followed including dropping out his sophomore year and eventually living on the streets. "I tried to be as honest genuine and frank with them. I think that is what would have helped me when I was in high school," Brittan said. "I realized in my heart of hearts that drug addiction had such a hold on me that drugs would be the last thing to go. My humanity would go." The DEA brought the children together in hopes of curbing a growing problem in Nevada. "The number of deaths has gone up each year," Daniel Neill, the DEA's Assistant Special Agent in Charge said. Neill showing students a timeline showing the growing number of opioid-related deaths in the state which has skyrocketed over the past decade. The agency challenging student leaders to take the message to their schools and speak up when they see someone headed down that path. "Addiction knows no boundaries. It could happen to my son, your son, anybody's sons. It doesn't go against any economic lines, racial lines," Neill said. What are the signs of that addiction? In teens, experts say it can be a challenge early on. "We expect our teenagers to sleep a little more, be a little more moody because hormones play a huge factor in that," Jennifer Lively-Pagliuca with Destinations for Teens said. "So what parents need to be on the lookout for is how it affects their day to day functioning. It is one thing to sleep in until noon but if they are getting up and doing their chores, eating regularly." Experts say often times teens have been using for years before parents spot the signs of abuse, and the early drug use can have long term impacts on emotional and educational growth. "When they are 12,13, 14 years old, as we know our brains are not fully formed until we are about 25 years old. So anything you are using that could change your brain chemistry could cause you to be stunted emotionally and cognitively," Lively-Pagliuca said. Luckily for Brittan, he got back on the right path and is in recovery. He went back to school and is hoping to don a cap and gown later this summer. "I am finishing my Bachelor's this summer at UNLV and am going into the Master's of social work," Brittan said. The DEA and all of the speakers at the summit pushing students to resources like JustThinkTwice.gov for help.